Fusion Maple work hand in hand to create a fusion of great design and durability to provide best modular kitchen interior. Décor-x is one of the best modular furniture manufacture and an ISO certified company based in India. Because of Décor-x we are able to provide best quality modular product for premium kitchen interior. Our wide range of kitchen elements, finishes, and accessories makes it easy for you to create a customized kitchen that is will be noticed by all in your office and residential area. We offer you durable and refined products made to suit your taste and requirement. If you are looking forward to customizing your kitchen within a short span of time, we at Décor-X are happy to assist you with our wide array of styles, designs and kitchen accessories. As strong believers in our work ideals of quality service and reliability, we are pleased to inform you that with the help of a professional team of supportive staff members and highly-skilled installation technicians, we offer you the best kitchen solutions with maximum efficiency and minimum time. We are kitchen designers with an experience of over 16 years..... we design and customise your kitchen space to make it not just look beautiful but to make it practical and easy to use too. 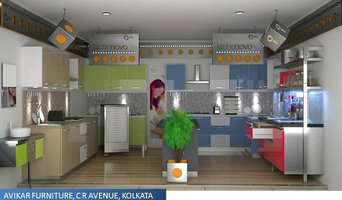 Why do I need a professional who specializes in kitchen and bathroom renovation and design in Kolkata? While looking for Kolkata bathroom remodeling contractors or kitchen renovation experts you may often find professionals who specialize in both rooms. This is because these space have a lot in common. Kitchens and bathrooms include an abundance of fixtures that require careful planning and installation, including sinks, faucets, tubs and toilets that all need water hookups and drainage. They also use similar materials, such as tile and stone for countertops and flooring, due to the nature of their use. So it makes sense that professionals who works on the kitchen remodel and design also works on the bathroom construction or redesign. 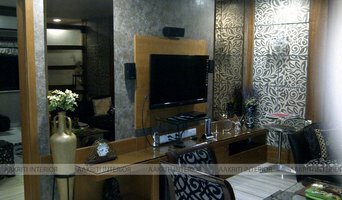 What do Kolkata kitchen designers or bathroom remodel professionals do? Bathroom designers, as well as kitchen designers in Kolkata, are constantly staying on top of trends in the ever-changing industry. The designers know the best layout for your room, and can configure the layout for optimal functionality and utilization of the space. In the kitchen, the refrigerator, stove, and sink should be laid out in relation to one another, and it should be seamless and easy to move from one to the other. 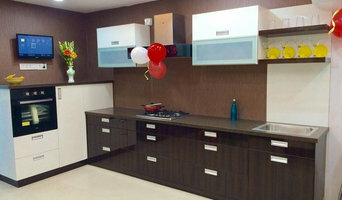 A kitchen and bathroom designer in Kolkata will know how to work with a contractor and architect to plan the flow of the room to work best for your needs. Professional bath and kitchen remodel experts specialize in altering the structure of an existing space, rather than building one from the ground up. Because he or she must deal with existing challenges and constraints, the job can get more complicated than new construction. Most bath & kitchen renovations involve architectural plans from page to reality; these contractors are also trained to provide design services so that you don’t have to hire a separate pro. Like a general contractor, a Kolkata kitchen and bathroom remodeling contractor is responsible for hiring and supervising subcontractors and providing materials when necessary. How long have you been in the bath and kitchen design or remodeling business? Are the other workers - employees or subcontractors? May I see a current job site? Find a bathroom and kitchen designers and renovator on Houzz. Narrow your search in the Find Pros section of the website to bathroom and kitchen designers in Kolkata. You may also look through photos of spaces to find kitchens or bathrooms you like, then contact the bathroom or kitchen designer who worked on it.